Last week, ASUS has two events in Taiwan and Milan, the ASUS Padfone 2 presented. The first Padfone was not a great success, but this could change with the Padfone second ASUS has installed this time far more powerful hardware and the design looks better. The ASUS Padfone 2 has 4.7 inch display with a resolution of 1280 × 720 pixels Including hides the fast 1.5 GHz quad-core Snapdragon processor from Qualcomm S4 Pro, after all, based on the Cortex A15 architecture and one of the fastest chip out there. There are whole 2GB of RAM and, depending on 16GB, 32GB or 64GB of internal memory. On the Padfone 2 runs Android 4.0 Ice Cream Sandwich yet, but it should soon give an update on Jelly Bean. About the ASUS Padfone 2, you can get the Padfone 2 Station. It is a tablet dock, the station has "only" a large 10-inch display with a resolution of 1280 × 800 pixels and an extra battery. The rest of the hardware and of course the software is in the Padfone 2 smartphone, which can be plugged back into the station. When 2 ASUS Padfone has also changed the mechanism for this, so you can your smartphone much easier, faster and safer especially stuck in the station. 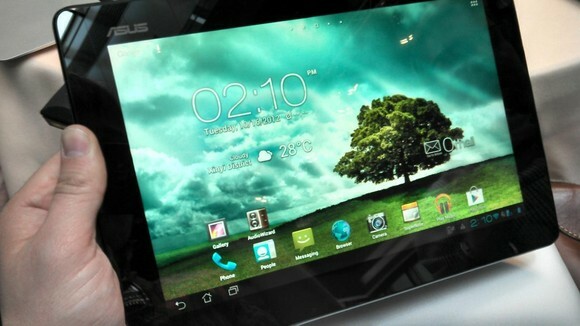 With us, the ASUS Padfone 2 is scheduled for release in December or early January. Without Dock will cost 599 euros and the smartphone with a tablet dock 699 euros. Not only the processing and performance is so great, but the price is reasonable.